Fun Club for Toddlers (1~3 years old) | Welcome to Sesame International Preschool ! 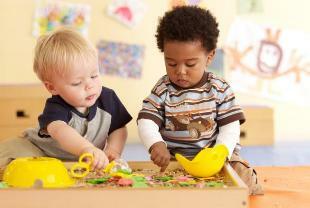 “FUN Club” for Toddlers ages 1 – 3 years old who has not attending Nursery yet. This class is the perfect way to start building your child’s English skills and social skills in a fun stimulating atmosphere as your child’s first step. (This program is available to use for only 6 months as a trial class). will be charged 50% of your reservation hour.